Dr. Ayres graduated from Robert Wood Johnson Medical School in 2000. After completing medical school, he completed a rotating internship at University of Pennsylvania’s Presbyterian Medical Center, and a three year residency in ophthalmology at New Jersey Medical School, where he served as Chief Resident. 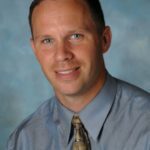 In June of 2005, Dr. Ayres completed his fellowship in Cornea, External Disease, and Refractive surgery from Wills Eye Hospital in Philadephia, PA. Dr. Ayres began performing laser vision correction with the start of his fellowship in 2004. He now continues to perform LASIK vision correction along with cornea/external disease and anterior segment surgery. Dr. Ayres remains an active participant in the Fellowship program at Wills Eye, and now trains many fellows and residents to perform LASIK and corneal surgery. Dr. Ayres is a board certified ophthalmologist and a member of the American Academy of Ophthalmology, International Society of Refractive Surgeons, and the American Society of Cataract and Refractive Surgeons. Dr. Ayres has authored several publications and book chapters on both refractive surgery and corneal surgery. He is the youngest recipient of the “Golden Apple Award” at Wills Eye Institute (an award given for excellence in teaching).